Fault finding using meter, scope and scantool. PassThru, J2534 and vehicle manufacturers sites. CAN, LIN, MOST, FlexRay, DoIP and near future technologies. Witten by UK Diagnostic Expert and Master Technician, James Dillon. 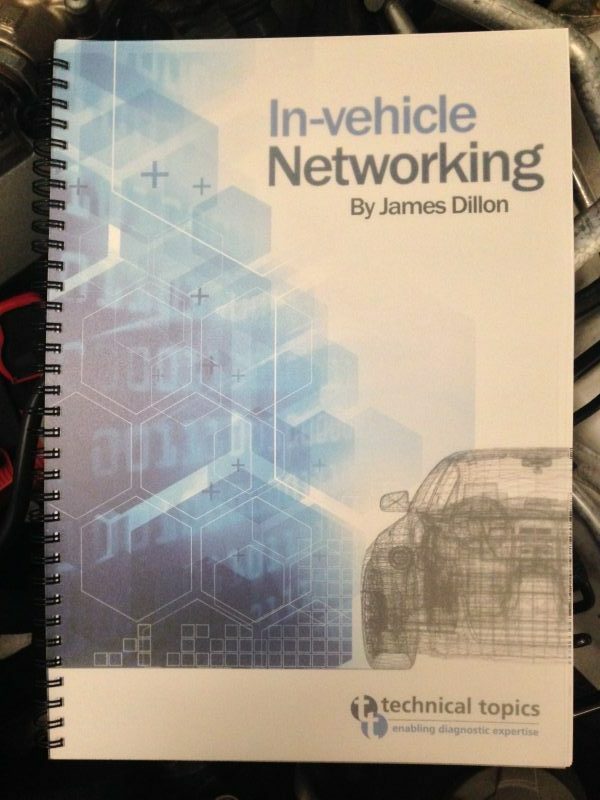 This book has been written to aid and assist vehicle technicians with vehicle networking faults. 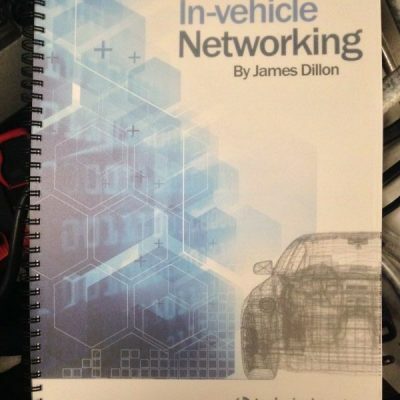 The book will help technicians develop a good working knowledge of what in vehicle networks are, how they work and, most importantly, how to test them. 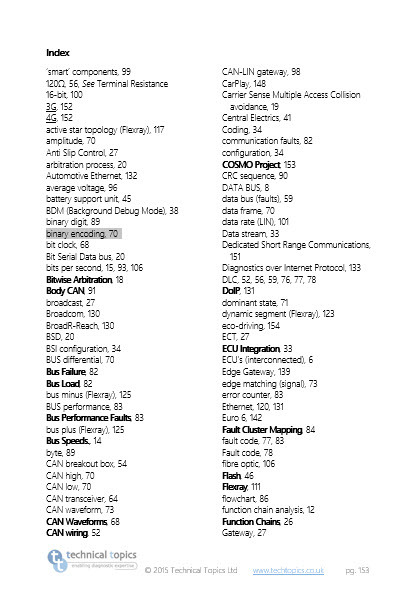 The book details the form and function of in-vehicle networking technology including CAN, LIN, MOST, FlexRay, DoIP/Ethernet and the upcoming V2x technologies. 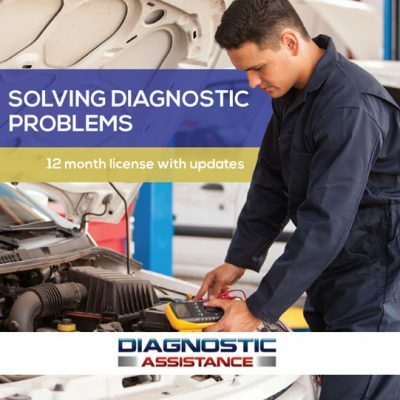 Written in technician friendly language by UK Diagnostic Expert and practicing Master Technician James Dillon, the 166 page A4 spiral bound book will make an invaluable addition to every vehicle technicians toolbox. 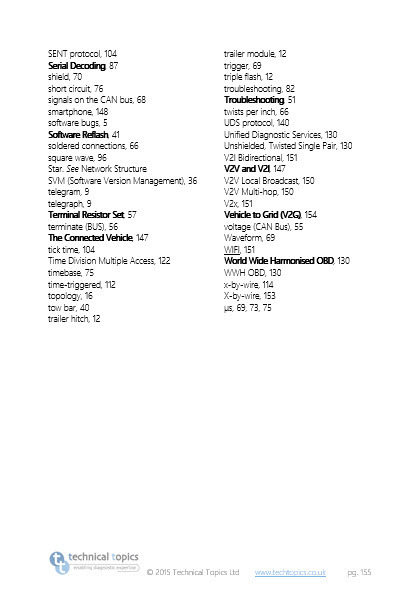 The book contains tips and techniques for diagnosing simple and complex vehicle network related issues such as no communication, network data faults, U class diagnostic trouble codes, and more. 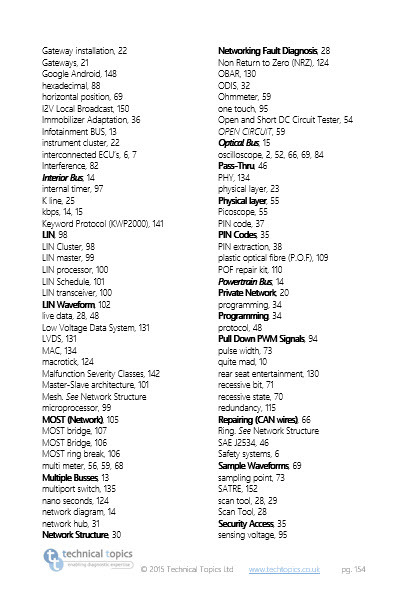 It details use of the multimeter, scan tool and the oscilloscope. James also describes pass thru programming (J2534) as well as how and where to access the vehicle manufacturers pass thru web sites.